"Some are working in the fields that feed the entire country and then they don't have the resources to support them and their health. It's heartbreaking." 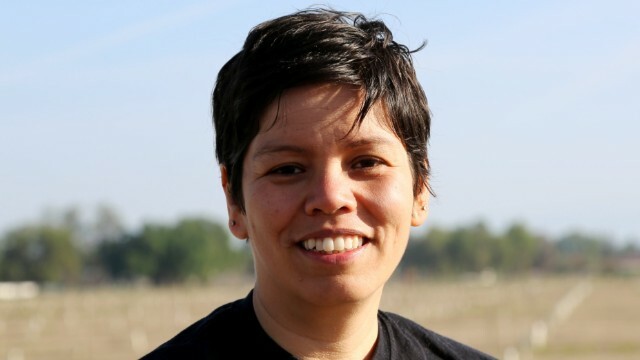 Resident of California, Sarah Ramirez, sees opportunity in the land she lives on. She can see how the poor and impoverished people that she knows in her community desperately need food. "Here we are in this agriculturally rich area and yet people who live here and work here are hungry, are impoverished," she said, commenting on how the land that they stand on can dramatically affect their way of life. Sarah and her husband have been working for two years and have launched their organization Be Healthy Tulare, a charity that helps poor families get access to healthy foods. "Looking outside and seeing trees just loaded with fruit, I was just feeling like, why aren't we connecting these pieces?" Sarah said, as she was speaking to her interviewer. 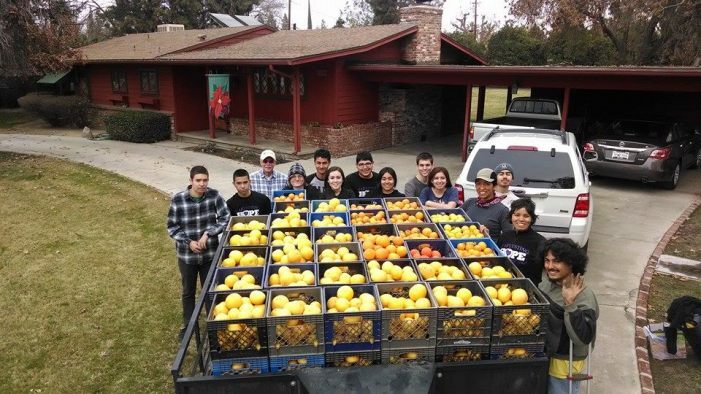 Twice a month, Ramirez and volunteers from Be Healthy Tulare go to farms and the backyards of growers to collect what nature has given them. These growers call in ahead of time to tell Ramirez about their excess produce and the group comes to collect the food. Ramirez grew up in a family of farmers. Through her young life, she watched her own family members suffer. "In my own family I have witnessed young family members die of preventable diseases," she commented on her youth. While attending college, she became involved in a food charity. During this time, she saw that the problems of others weren't so different from the problems she faced while she was younger. In Tulare, 73% of adults are either overweight or obese, in a study done by the Health Institute. She later got her Ph.D and afterwards became more active in spreading health to all. She saw a link between food insecurity and obesity rates, "I lost count of how many 4-year-olds I was seeing with high cholesterol or how many people came in due to obesity. I've had moments in the clinic where I have people literally cry because they tell me they can't afford to eat well or eat healthy." Then, she knew what she had to do to help her community. Once the food is collected, it is given to a local food bank, where it is distributed to impoverished people all across the community. 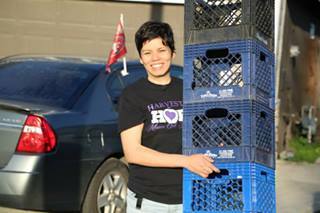 They are an army that fights hunger in its community, and its starter, Sarah Ramirez, is a true hero. She has saved many lives and has helped many families get on their feet. Ramirez has said that in their campaign has brought in over 20,000 pounds of fresh and healthy produce that has been given to families in need. Not only did she collect healthy foods for the people of Tulare, she also has shown these people how to live a healthy lifestyle. She has created classes called "food labs" that teach fitness and nutrition. "This is an educational opportunity to find out how to use foods we grow in the garden," Ramirez said. "I like to have community members offer their own recipes. I welcome the community to teach as well. We want everyone to feel involved." For Ramirez, this is more than just making people healthy, but this is also about helping others feel involved and have purpose in their community. She has inspired me to volunteer more. I have seen what one person can do for a community. The impact of one person can cause a domino effect on the community, and I would like to be a part of this growing movement to start helping others rather than just helping yourself. I would like to bring more creativity into the community. I feel that this world needs to be expressive, which is what art is for. I hope, in the near future, to start an organization that helps anyone of any age in the community express themselves through any art, and get positive feedback on what they have made - be it drawing, painting, music, poetry, dancing, etc. I want to help society realize its full potential, and it all starts with the first domino to tip a chain reaction that spreads everywhere, and Sarah Ramirez has inspired me to try. CNN Eatocracy - Eatocracy shows how people are making a difference in health and food.